Hi beauties! I just wanted to stop by and say hi:) hope you all are fine and that you are having a great week so far. Someone recently asked me what happened to my blog and why I never post anything. I’ve been gone for a couple of weeks now and I miss blogging sooo much. As you know (or may not know) I am studying my second year of university and school is very hectic and taking up a lot of my time at the moment. I want to get back to blogging on a regular basis as I used to do – but I need ideas for future blog posts. What kind of blog post would you like to read on my blog? Any ideas? Another reason for me stopping by today is because I wanted to share some makeup looks I’ve done on my clients recently. 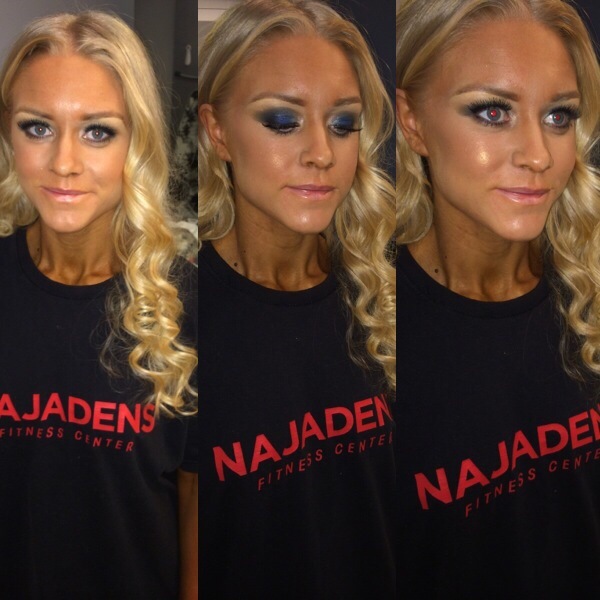 This weekend there was a big fitness festival in my town and I got the chance to do two lovely girls’ makeup who where both participating in the fitness festival. One of my older brothers got married last weekend and I did the bride’s makeup. 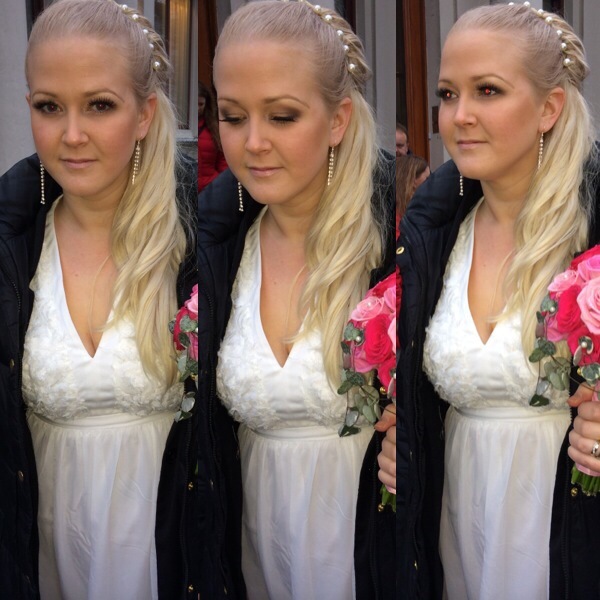 I love doing bridal makeup – simple and neutral eye makeup with gorgeous lashes. love the sheen on the first girl’s face. Lovely makeup hun. Lovely make up. Great post.